All computers assembled by Kay Computers containing "Boxed" Intel Motherboards and a "Boxed" Intel CPU, shall be covered for a period of three years from the date of first sale to the original purchaser. This warranty is applicable to the PC hardware (parts and labor) and the "installation only" of the software. The three-year warranty does "NOT" or monitor, which are covered by their individual manufacturer's warranty. 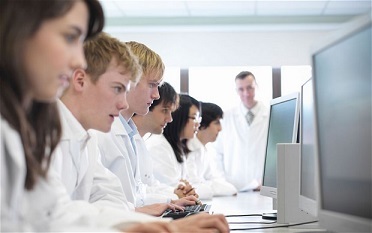 The PC itself shall have a warranty against factory defects and workmanship provided the PC Case has not been opened and contents therein have not been handled or tampered with by anyone who is not authorized by or is not employed directly by Kay Computers. All warranty claims must be reported directly to Kay Computers for assessment as to the best way of processing the RMA with a minimum of down time to the customer. All RMA's are F.O.B. at Kay Computers, 722 Genevieve Street, Suite N in Solana Beach, California 92075. 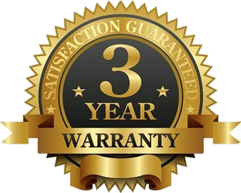 This three year warranty shall not cover any loss of data contained on the systems hard drive or any inconvenience to the customer. In the unusual event of a hardware failure Kay Computers arranges for prepaid overnight airfreight with same day service so that the customer is without the computer for no more than two days. There is an OFF (0) and ON (1) switch on the power supply located at the back of your PC. If this switch is in the ON (1) position when you plug your PC into the wall electrical outlet, there is a chance you might burn up the PC's Motherboard and possibly the power supply as well. Make sure the switch is in the OFF (0) position before plugging in the power cord. Once the power cord is plugged into the wall electrical outlet and the other end into the back of the PC you can then flip the OFF (0) and ON (1) switch to the ON (1) position this will allow for a "Soft Power Up" in which the electricity is gradually introduced to the Motherboard and all other internal PC parts. This same rule applies when disconnecting the power source from the PC. Make sure the switch is in the Off (0) position first. Trust me when I say: "If Off/On switch was "NOT" important then power supply manufacturers would save money by "NOT" placing them in their power supplies. So use it or lose it. Most PC Cases are quiet and attractive allowing for placement on "TOP" of your dust free desk. The PC uses airflow to keep it cool and trouble free by pulling the air in the front PC Chassis and blowing it out the back. Most PC cases also have an air inlet on the left side of the case that was designed exclusively for the CPU to receive its own air. As the air flows through your PC it can leave dust particles on your PC's internal parts. If a PC is placed on the floor, where the dust collects and your feet stir up that dust, the PC will need regular cleaning about every 6 months. Excessive dust collection within your PC can cause overheating and result in unexpected errors in the operation of your PC. This may also shorten the life of your PC due to overstress cause by overheated components. If your PC starts giving you errors or does not work as efficiently and fast as when new, there is a good chance your "CPU Heat Sink" is packed with dust and is therefore overheating. At that point you will need to take it in to be cleaned by a professional PC Technician. The best rule of thumb is to treat your (approximately $1,000.00 +) investment as you would your camera = clean and therefore functioning perfectly. Alexis de Tocqueville: "Civilization is a race between education and destruction" Education starts with a knowledge of words. At the time of the ratification of the Constitution of the United States of America (1787), the educated elite of the 13 colonies spoke 13 varieties of English. Words varied in spelling, in grammar, and in shade of meaning. The English spoken in the counties of England at the time was of little benefit to the new nation for standardizing spelling, grammar, and meaning because the variations were even greater. Samuel Johnson's Dictionary, in use at the time, required a level of education beyond that of most of the population. To teach a knowledge of words Noah Webster standardized American English by publishing, in 1793 at age 25, a primer named, "The Elementary Spelling Book", informally called "The Blue-Backed Speller" containing not only spelling but also pronunciation, meaning, and usage. It sold phenomenally. One hundred million copies were purchased by the end of the nineteenth century. This primer not only regularized spelling and with a grammar book (1794) and a reader (1795) regularized grammar and usage but also gave American children a shared ethic and heritage. Through these books and his "American Dictionary of the English Language" (1828'25 years in the making) Webster became "the schoolmaster to a nation". The task facing educators during the following 150 years was to provide the schools and teachers for the burgeoning student population coming from the large families of the working-class and from the huge waves of immigrants and to make high schools available to all students. Most of these students had a limited vocabulary and consequently had great difficulty in managing the standard academic curriculum. At the time no efficient means existed to increase vocabulary substantially. Tests were devised to determine what was thought to be the genetic intellectual capacity of an individual in order to segregate students. However, these tests were later found to have high correlation coefficients with vocabulary, an acquired characteristic. Unfortunately, the damage had been done. Educational leaders classified 70% of the student population as uneducable beyond the third grade. In June 1901, Dr. Nicholas Murray Butler (president of Columbia University for 43 years) noted in his "Five Evidences of an Education" that having an extensive vocabulary couldn't be overemphasized. Johnson O'Connor began his research to determine the in-born traits of the individual person in 1922. His work led him to a study of vocabulary. After finding a direct correlation between an individual's professional success and his or her vocabulary he spent the following 30 years at the Johnson O'Connor Research Foundation collecting the necessary data for developing his rules of vocabulary acquisition. He believed that one required a large vocabulary to take advantage of opportunities in one's environment to utilize properly one's in-born traits. Unused aptitudes give rise to unfruitful frustrations. 19 aptitudes were isolated in the decades from 1922 to 1952. Much of the data for vocabulary research was gathered in this same period. In the 1960s O'Connor enlisted the aid of Andrew F. Kay and his son David A. Kay to devise a suitable means using modern technology to display interactively and audio-visually the words, misleads, and meanings resulting from his decades of research. With the development of the personal computer in the last quarter of the twentieth century and storage capacity exceeding 5 gigabytes it became possible to install the entire O'Connor volumes 1 and 2 and associated audio and interactive programming. An individual can now increase his vocabulary significantly (the equivalent of 100 points on the SAT scale) with a few hours of effort. This is equivalent to a rate of learning 10x to 100x faster than unstructured study. It is feasible to level of the disadvantaged members of a classroom to any level that is desired. Dr. Abraham Maslow, the noted motivational psychologist, stated that increasing a man's vocabulary increases his awareness of the world. Johnson O'Connor has written that: "Words are the tools of thought". Statistically, the larger the vocabulary of an individual the higher his scores will be on the SAT, GRE, ACT, IQ, etc., and the higher will be both his income and stature. Further, the lower the vocabulary the higher the paranoia. However, the lower the difference in vocabulary levels between spouses the lower the divorce rate.